Make a difference this election season. 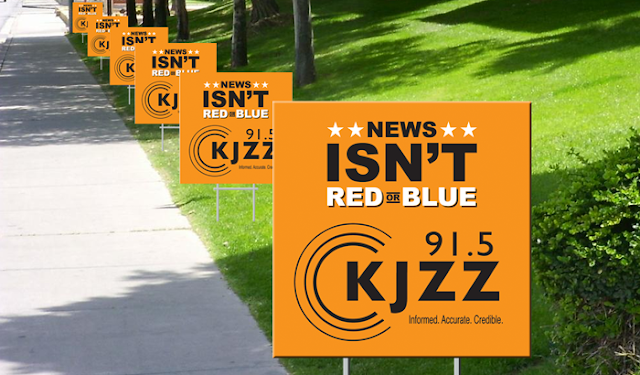 Help public radio station KJZZ 91.5 promote informed, accurate and credible news coverage by joining its News isn't Red Or Blue campaign and placing a KJZZ yard sign in front of your home. Let your neighbors know where to find impartial reporting, civil discourse, and the facts they'll need to cast an educated vote this November 6. Submit a fun or clever photo of yourself with the sign to KJZZ for a chance to win tickets to this year's Tequilazona West benefit. Listeners may also download and use the following image as their Facebook, Twitter or Google+ profile to support #RealNews through social media. Right click and "Save As" to download. 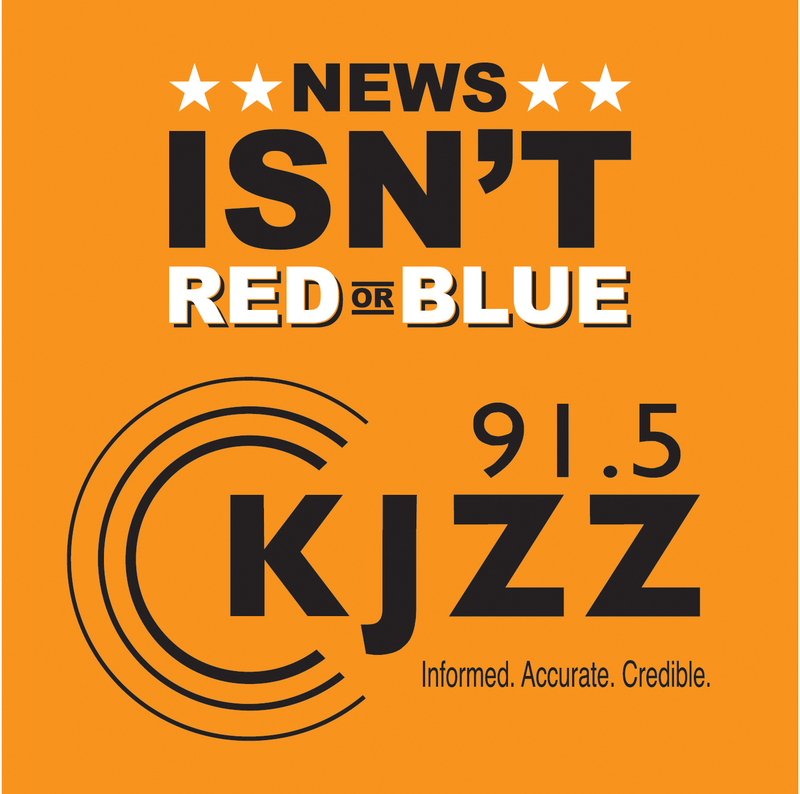 KJZZ is a listener-supported public radio station that is licensed to the Maricopa Community College District. It is as a community service of Rio Salado College’s Division of Public Service, which also includes KBAQ 89.5 and Sun Sounds of Arizona. KJZZ features a mix of local and NPR news, entertainment, jazz and blues—serving nearly 319,000 weekly listeners. 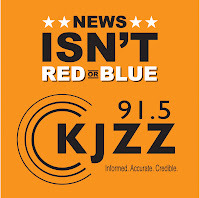 For more information, visit kjzz.org.